Since I had so much fun with my blackout poem "Unsung Songs," I decided to try another one. I used the same page (250) of the same book Memnoch the Devil by Anne Rice that I used for "Unsong Songs." I wanted to see if I could get a completely different poem using the same material. 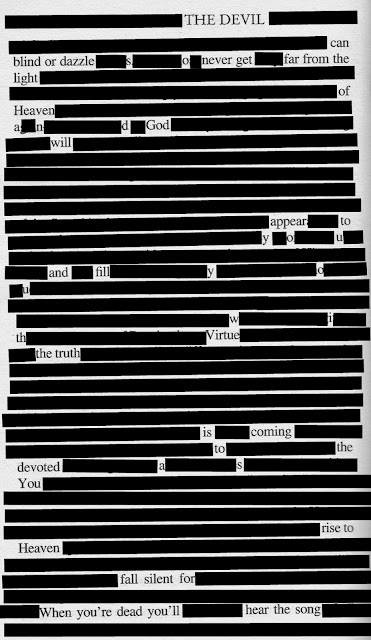 However, I didn't realize I'd have a more difficult time creating my poem "The Truth is Coming." Also, since I couldn't get punctuation where I needed it, the poem may not read well based off just the page of blackout, so I again will rewrite the poem after the picture to show how I saw it in my mind. 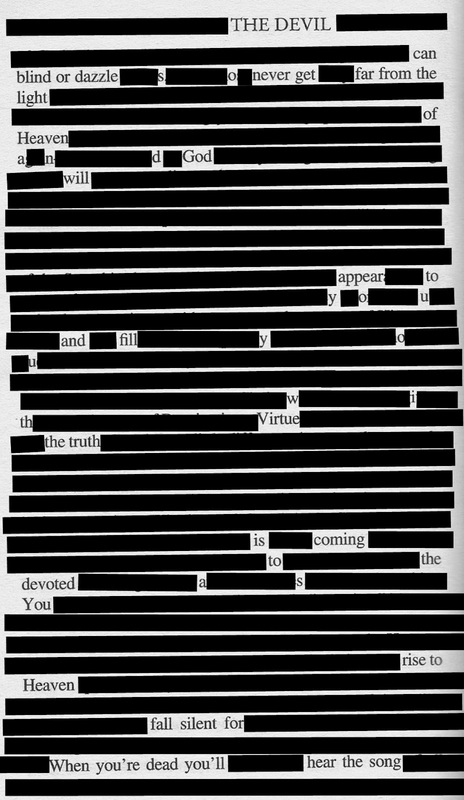 And God will appear to you and fill you with virtue. For when you're dead you'll hear the song.